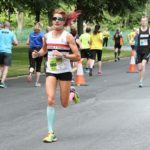 The ‘Tour of Tameside’ series of races is the brain child of Dr. Ron Hill and involves 4 races over 4 consecutive days, over different distances & different terrains. 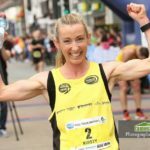 It began with a 10K Multi-terrain race over woodland steps in Oldham on Thursday, before a 6 mile ‘hell on the fell’ race in Staleybridge on Friday. This was followed by the High Peak half marathon on Saturday before the final event a 7 miler in Hyde. The event is both gruelling physically as well as mentally, but LPS runner Kirsty Longley took on the challenge determined to take in the scenery and enjoy the experience. 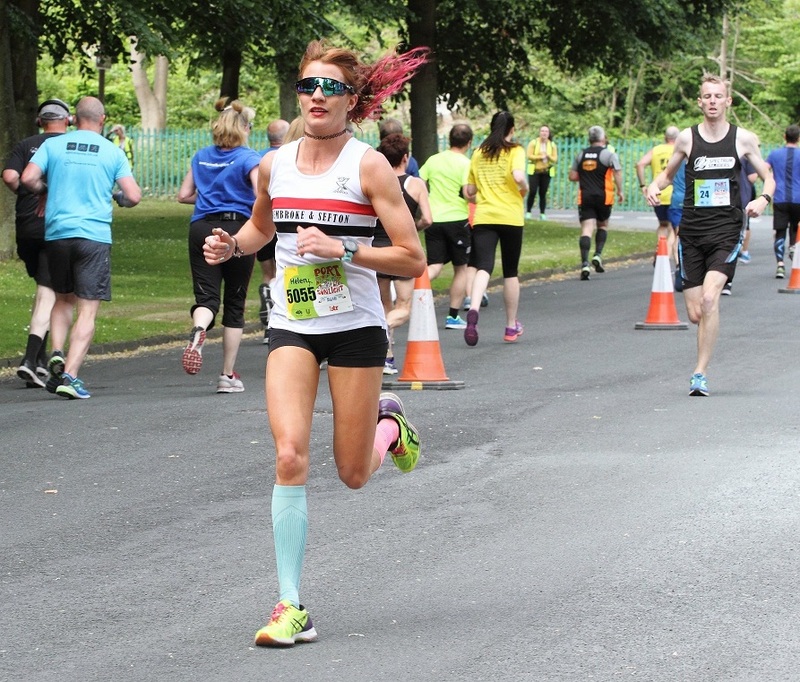 Her experience of the event played its part and she not only won all 4 events in a cumulative time of 3:29.47 but her winning margin over the second lady was a massive 14 minutes. Kirsty even had time for a coffee with Ron Hill himself. 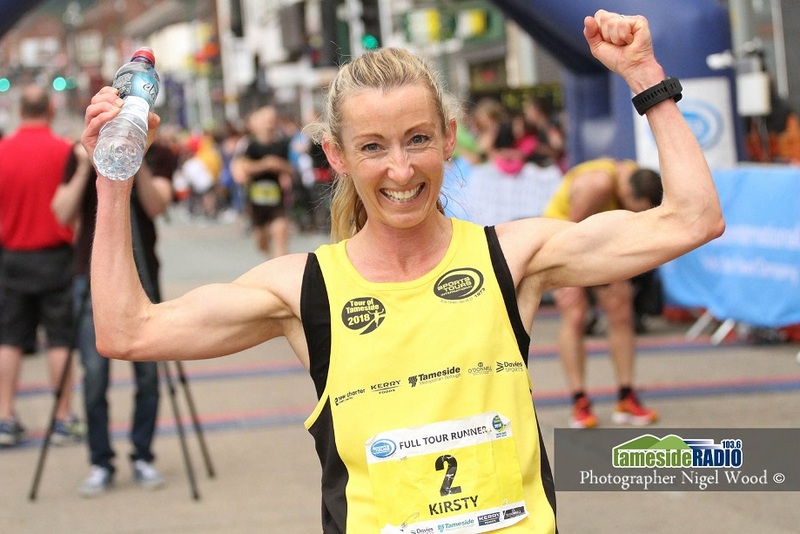 Over 600 athletes completed this year’s Port Sunlight 5K race. LPS runner, Helen Sahgal dominated the women’s race finishing in 18:13 and in doing so set a new course record. Helen finished 12th overall and over one minute ahead of the second female runner. O55 Mark Hudson also completed the course in 20:48. The England Athletics U20 & U23Track & Field Championships were held over the weekend at Bedford. Heats and semi-finals puts great pressure on athletes over the two day meeting. U23 runner Elliot Jones had the satisfaction of running pb’s in both the 100 and 200 metre events. Although finishing 3rd in his semi-final his time of 10.69 sec was not sufficient to qualify for the final. At 200m Elliot again set a new pb running 21.97 in his semi-final before finishing 7th in the final (22.30). Elliot will undoubtedly have learnt from his experience at these championships which saw him move up the UK rankings. U20, Kai Finch competed in the high jump with his best jump of 1.93m giving him 5th place overall. He can now look forward to the English schools championships in Birmingham in July.